If I Tell My Creditors That I Am Filing For Bankruptcy, Can They Still Contact Me? That depends on which type of creditor you are speaking with. Different rules apply for the original creditor and collection agencies. It may very well be that the one of them (or both) has violated your rights. When you fall behind on your debts, the creditor will no doubt start calling you to demand payment and/or send you letters. So long as the conduct of the creditor does not rise to the level of criminal activity (like you are physically threatened, or your property is damaged as a result of their attempts to get money from you), then the original creditor can do just about whatever they want. That’s right. The original creditor can do things like: come to your home and knock on the door to demand money; call you as many times during the day as they wish; send you letters threatening law suits, late fees, charges, and reporting the debt to the credit bureau; pretty much anything that is not criminally related. If you were to inform the original creditor that your intent is to file a Missouri or Illinois bankruptcy, they may or may not stop calling you (even if you give them your attorney’s information). Although it is always a good idea to give the original creditor this information, because this may cause them to stop contacting you. Depending on how much total unsecured debt you have (whether it is credit cards, medical bills, or payday loans), you may also wish to look into filing a St. Louis Chapter 7 bankruptcy or a St. Louis Chapter 13 bankruptcy. These types of filings can take care of the rest of your debt, and put you in a much better position moving forward. 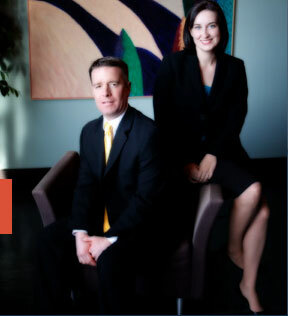 The affordable St. Louis bankruptcy lawyers at Brinkman & Alter, LLC have been making sure our client’s rights are upheld for over ten years. We want you to be aware of all your options, know your state and federal rights, and how filing for bankruptcy will improve your standing in life.